HomeBlog Credit Card DebtIs It Wise To Use Personal Loans To Pay Off Credit Card Debt? Is It Wise To Use Personal Loans To Pay Off Credit Card Debt? Do you think it is a great idea to use personal loans to pay credit card debt? Some people might disagree. After all, it is like filling one hole by digging a new one. Instead of getting out of debt, you are just shifting it around. It seems hardly a solution to your credit situation. However, there is an article published on Forbes.com that could make you look at installment loans differently. 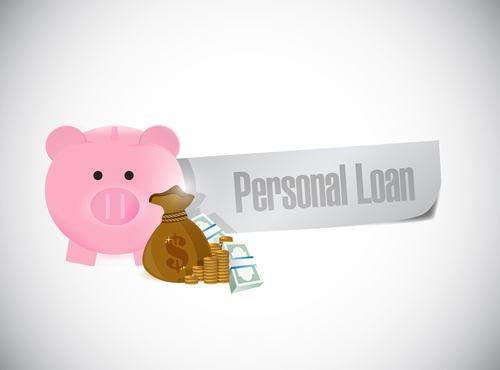 If you consider the high interest rate of credit cards and the debt pit that you can fall into because of it, you will realize that you may be better off with personal loans. The article mentioned that before there were credit cards, these installment loans, as they are also called, were the solution for short term credit needs. It is defined as a simple product. When you borrow an amount, it is usually fixed and even your terms are fixed. In most cases, the interest rate is fixed too. It is practically the same for all financial institutions. They just offer these loans with varying interest rates and fees. The article even mentioned that for banks offering these loans are not really excited by this financial product. That is because they hardly get any profit from it. At least, not in the same way as credit cards. The article from Forbes indicated two good reasons why personal loans were easily replaced by credit cards. Consumers found them appealing because credit was readily available. If you want to borrow money through installment loans, you need to go through a process that will require you to file an application and wait for an approval. Usually, the approval takes some time to happen. When you use credit cards to borrow money, you only have to apply for it once. That is why it is called a revolving debt. After you get approval for the credit card, you can keep on using it as long as you have not reached the credit limit. You can keep this card in your wallet and take it out whenever you need to buy something and you do not have any cash. Banks observed that consumers were not conscious of their credit use when they pay through credit cards. Credit cards also replaced personal loans because banks realized how profitable it was. They observed that consumers were not conscious of the interest rate of their credit cards. Even if they were given high interest rates, they continue to use it for purchases. Not only that, the article mentioned how consumers spent more money because of these cards. If they use personal loans, consumers are more conscious of the amount of debt that they have. The likelihood that they will borrow as much as credit card users is not likely to happen. This is the reason why banks put more effort into promoting these cards compared to installment loans. However, the article from Forbes said that all of these reasons seem to be a thing of the past. With the popularity of doing business via the Internet, there is an emerging type of debt that seems to resurrect the appeal of personal loans. Online lending is gaining popularity because of the convenience that it brings. So far, the most trending are peer to peer lending or social lending. The main appeal of this loan is the low-interest rate. If you compare it to the high interest rate of credit cards, you will appreciate the rate offered by peer to peer lending. If you are wondering how this type of debt can afford to offer low interest loans, it is because of three reasons. Lending companies serve to connect borrowers with investors. The first reason is the very system by which peer to peer lending functions. They only serve as the platform where borrowers and investors meet. They are not directly financing the loans. This makes them an unbiased party that can help regulate the interest rate that will be offered to borrowers. These companies do not earn from the loan itself – they earn from the service they provide and the origination fees. In most cases, these are quite transparent and can be viewed in the website of the peer to peer lending company. Money comes from investors in the community. In peer to peer lending, the personal loans are being funded by investors from the community. They are not like banks who are focused in profits because they have shareholders to satisfy. These investors are ordinary people who have extra money to spare. They are not as profit driven and that makes them more likely to keep their interest low. According to the website, LendingMemo.com, investors usually earn 5% to 9% on the risk that they take for online lending – at least this is true for Lending Club investors. The average rate for loans borrowed through this lending company is 13.4%. That is not bad if you compare it to the high interest rate that consumers are burdened with because of credit cards. The last reason why peer to peer lending can afford to offer low interest rates is because all the transactions happen online. Their overhead expenses are not as high as that of the brick and mortar banks. Since their overhead costs are lower, they do not have to put as much interest into their loans. These reasons make personal loans more appealing than credit cards. This is probably why it is becoming logical to think that you can borrow this money to help pay for your credit card balance. Make sure the purpose of your loan will improve your financial situation. Some people will think that they can borrow this money and use it to buy other things. Do not do this. If you are going to use credit – regardless of the type of debt, make sure that it is meant to improve your financial situation. If not, then do not borrow it. If the loan you will borrow can help you recover from the high interest credit card debts that you have, then go ahead and proceed with the loan. Compare interest rates. Shop for different personal loans. Make sure you compare rates before you decide what you will borrow. It is important to choose the right loan – usually, these are loans that has the lowest interest rate. That will help you save more money as you pay off your debt. You can use sites like MagnifyMoney.com to help browse for interest rates. Know how you will pay it back. Lastly, you need to have a plan to pay back your loan. If you do not have a plan, then you need to hold back on your loan. It is not enough that you know that you have the income to pay it off. You need to list your expenses and compare it to your income. Then, you should plot where you will get the money to pay for the loan that you are about to take out. Keep in mind that using personal loans to pay for your credit card debt is okay – as long as it will help you save in the long run.